Even with all the healthy foods in the market, there are but a few brands that are purely developed for vegetarians. 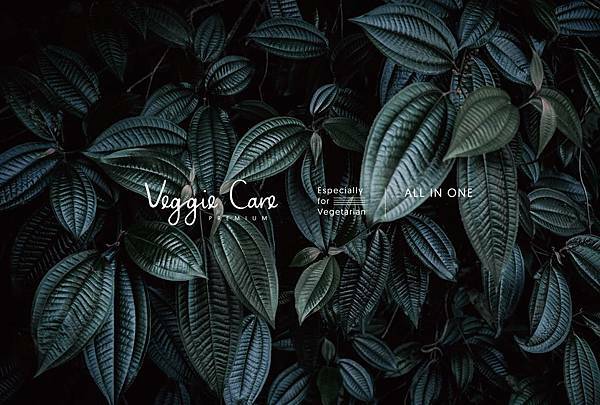 Thus, “ILHA Veggie Care” has the developed the first prominent nutritional supplement product based on pure and natural ingredients. Therefore, during the planning of the product design packaging, the aim will be that the design of the package will establish the brand’s identity and what it stands for, serving also as the foundation for future extension of the product series. The design concept use the simple yet robust concept of a single leaf as its core. 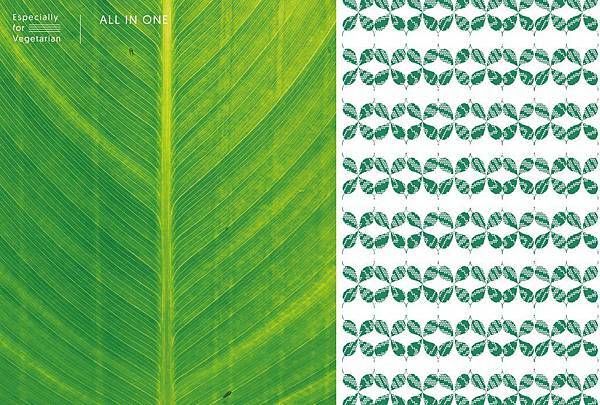 The design combines two different leaf vein textures to express the unique features of the product, which are the use of natural algae, plant protein, and vitamins. 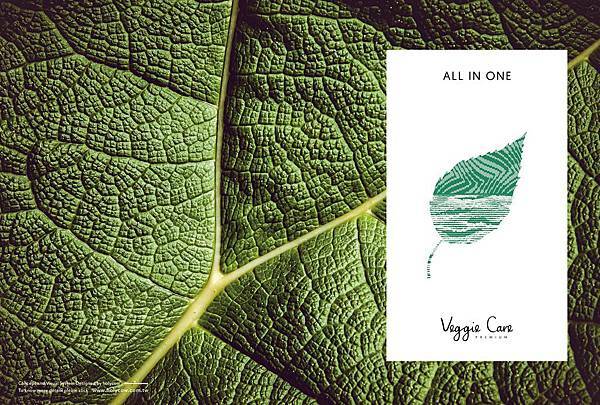 The main visual focuses on deconstruction of the details of the leaf texture, as if seeing the leaf through a microscope, symbolizing that within every leaf lies the awaited birth of each Veggie Care capsule. Moreover, just like how this leaf can contain within it all the necessary nutrients it needs for the day, so does the capsule carry within it all the pure and natural ingredients necessary. The color scheme is mainly based on the deep emerald green color of natural plants. 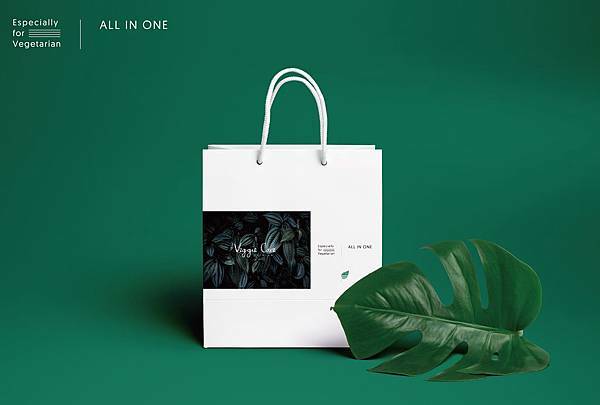 The various gradients of green are used to differentiate the various products of the brand, yet at the same time create a sense of unity within the product series. The overall design uses large white spaces, not just to emphasize the brand’s core values, but also to convey the brand’s focus, persistence, and aesthetics. 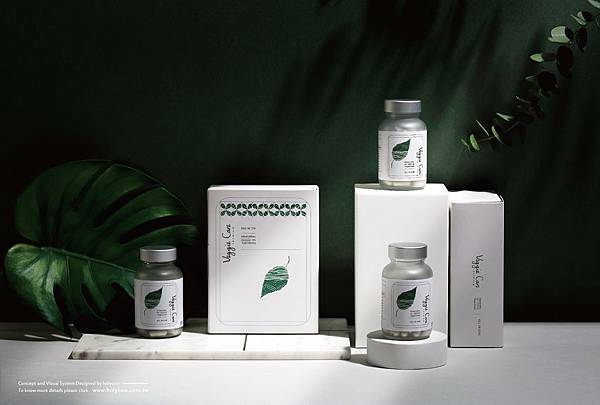 These resonant with the brand’s message of a nutritional supplement that is purely vegetarian, non-artificial, natural and organic, safe to use, and without burden to the body.